Appropriately located on Agriculture Street in Raleigh, North Carolina, the Raleigh State Farmers Market stretches across a 30,000 square-foot building and is open year-round. There’s also a strip of market shops filled with homemade treats and crafts. 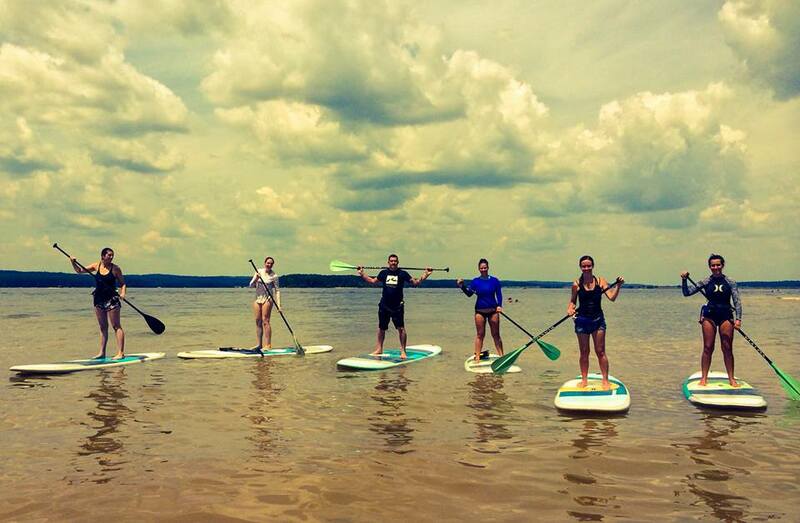 There’s much to explore, but what if all of that food makes you hungry? No worries — there are three restaurants that dish out meals made of locally raised meats and fresh produce right on the market grounds. 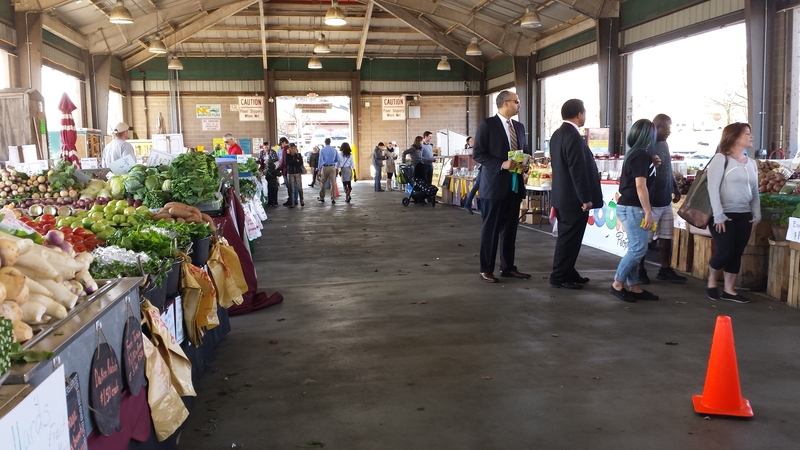 The main farmers market building is packed with locally grown fruits and vegetables. Perfect for a day-trip that will please just about anyone, this North Carolina farmers market is in a category of its own. With an abundance of fresh crops, locally raised meats, wines, cheeses, jellies, jams, and household decor, it’s pretty much an ongoing miniature fair. And the best part is, by purchasing basically anything at all, you’re supporting local business. 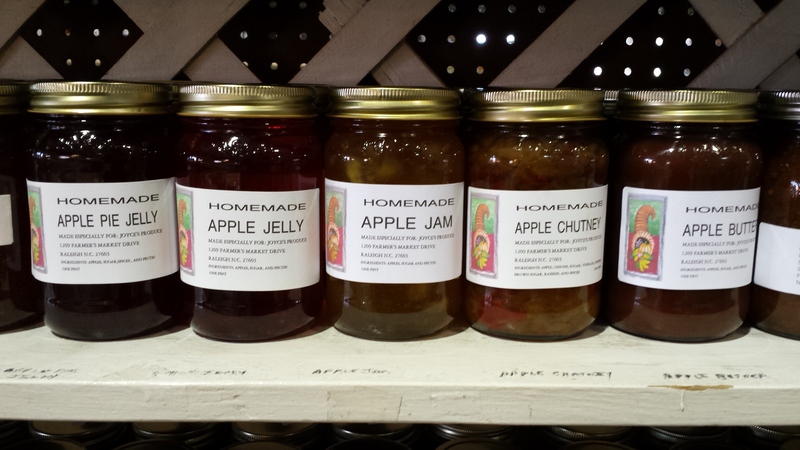 Be sure to sample some jellies, jams, and butters from Joyce’s Produce before selecting your pick! Psst. They’re all bursting with flavor. When hunger strikes (which it will! ), be sure to make your way into one of the three restaurants located on the farmers market grounds. 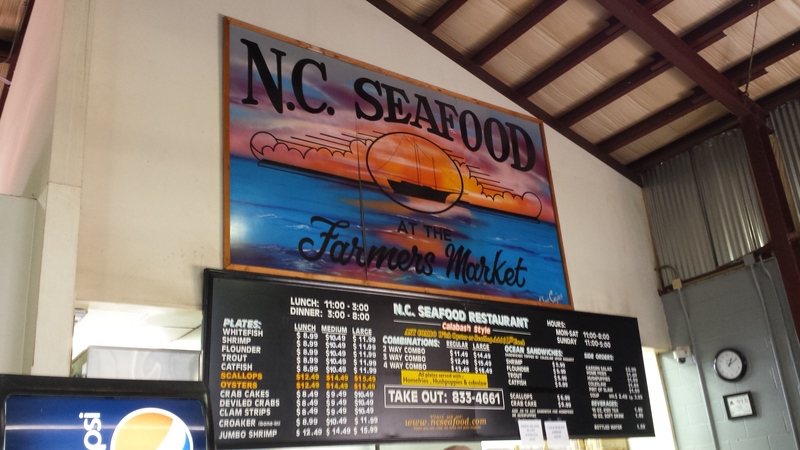 The Market Grill and the State Farmers Market Restaurant both prepare a fresh breakfast and lunch, and the Seafood Restaurant serves Carolina-caught fish. No matter if you’re looking for a delicious meal, or the tastiest ingredients to cook up something splendid yourself, the State Farmers Market in Raleigh has what you need to enjoy a meal you can feel good about.